In this post, I’m highlighting some of my favorite (and probably best) forms of Downloadable Content (DLCs) that a player can experience: expansion packs! Sadly, this form of DLC isn’t quite the standard practice in the gaming industry. If you’re curious about how DLCs got into today’s price gouging conditions, this article’s a decent overview of the subject. Skip the Introduction below if you’re just interested in the list! Feel free to recommend your own favorites in the comments section. I’ve rarely had opportunities to splurge on DLCs, but when I do, it’s normally well worth the investment. I do my homework in making sure that, if I buy a particular DLC, it’s actually worth the value that a company is charging it for. Some game companies might try to stick to the current trendy practice of trying to nickel & dime as much money from its consumers as possible through current, “smaller” forms of DLC that don’t quite offer much in value. For this reason, this average joe is ALWAYS wary of pre-ordering games or getting caught up in season passes. You might end up buying a game having microtransactions littered across your game menus, having season passes that might cost as much as the game, or even having “Day 1" DLCs that you gotta shell out money for to net you a full gaming experience. This all assumes the “base” game you’re playing is even worth paying for all these extra digital accessories. This screenshot is from the Fallout: New Vegas — Honest Hearts expansion. The star of the expansion is the “Burned Man,” Joshua Graham. He’s a very cool guy you don’t want to cross. But, some companies have gone against this trend, instead opting to provide you with extended DLC that significantly adds NEW content to an original, “vanilla” game product. We’re not talking content that simply extends the game’s length by an hour or two by throwing some extra levels your way. The extra content I’m talking about are often new campaigns (most self-contained), separate from a vanilla game’s main storyline, placing your character in a new adventure (maybe sometimes in an entirely separate foreign land). New game mechanics may be introduced along the way to enhance the core gaming experience. Or, some existing gameplay systems are simply improved upon. There might be extra chapters you can play that goes deep into a game’s lore, maybe explaining the origins of interesting characters from the original game. Sometimes, they’re standalone titles which do NOT require the original game. We refer to these forms of DLC as an “expansion pack”, as they extend a vanilla game’s length and overall value in ways that it sometimes feels like a mini-sequel… or even an entirely different game, depending on how much a developer changes things up. While I DO list my favorite expansion packs from certain games that may have a lot of DLC support, I will only list expansions I’ve actually played. I don’t limit myself to any platforms. Any expansion pack (even for exclusive console games) is fair game. If I left out a particular expansion from a game you think deserves to be on this list, it’s most likely because I haven’t played it! I’d love to get your recommendations. For your convenience, I provided a TL;DR version, and a “long” version where I explain why these items are on my list. I list this expansion as an honorable mention because I’ve only recently started it. While I’ve enjoyed all of it so far, it’s too early to say that it’s one of my favorites. 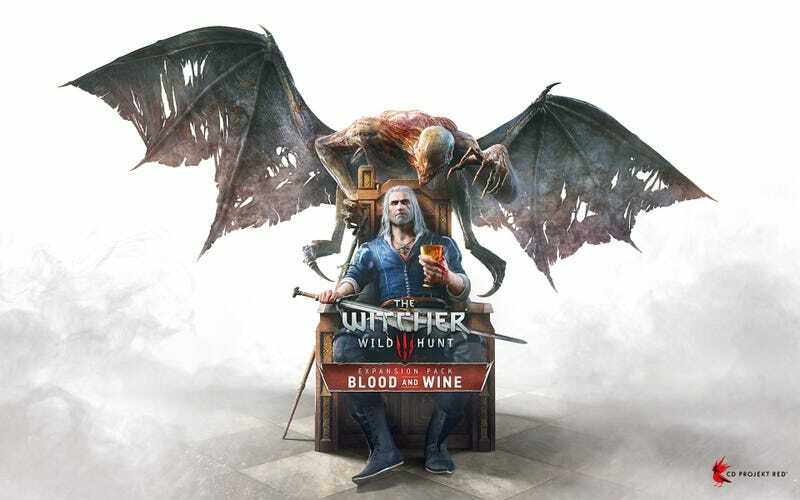 I want to be able to compare it to Witcher 3's other Blood & Wine expansion (which I haven’t played yet) before deciding to add them to my list. Here’s the longer variation of this list. I’d be doing everyone a disservice if I don’t mention this particular expansion. This is probably one of the most famous expansion packs you’ll ever read & hear about on the Internet. Shivering Isles harkens back to the older Morrowind game in The Elder Scrolls franchise, pitting you inside a new world environment that embodies the word “weird.” The land of Shivering Isles is divided between “Mania” and “Dementia,” where the characters you meet embody one of these two characteristics. This adds to a fun, quirky experience in Shivering Isles, having a charm that makes Oblivion vanilla landscapes feel pale in comparison. The expansion also contains one of the most interesting characters your character can interact in the TES universe: Lord Sheogorath, Daedric Prince of Madness, creator & indefinite ruler of Shivering Isles. Bethesda received some criticism that the original Oblivion game world of Cyrodiil felt too normal (even generic) as far as fantasy landscapes goes. Shivering Isles is a great response to that feedback, such that the expansion actually feels like an entirely different game, adding an even better sense of wonder & exploration than Oblivion. Of course, you get lots of new quests, a few new items & spells added in specifically for this expansion. When you play through this expansion, you’ll probably (like me) be disappointed that Oblivion’s original game world doesn’t feel up to par. You’ll never want to go back to playing through the “normal” Oblivion environment ever again. Shivering Isles wasn’t the first expansion out there released for a video game, but its success & impact as a large DLC piece would prove to be a valuable indicator of what kind of support consumers could expect to see in Bethesda’s future Fallout/TES titles. The expansion’s success was also a good indicator of how the gaming industry could learn from Bethesda’s success with DLC in general. Square Enix might have taken some cues from Rockstar, as playing this particular expansion may remind players of Red Dead Redemption’s Zombie expansion DLC, titled “Undead Nightmare.” In my opinion, it’s well worth trying out. Nightmare in North Point’s non-canon campaign is a great, often funny interpretation of the zombie theme using the game’s world of Hong Kong as the backdrop for the crazy stuff happening to Wei Shen and company. The game world reflects the state of crazy spirits taking over the place. The expansion doesn’t mind getting ridiculous, as you’ll be doing a quest to gather ingredients that will allow you to drink a special tea mixed with some antifreeze to obtain magical kung-fu powers (which is actually critical to beating some of the expansion’s new enemy types). It’s great that this expansion doesn’t take itself too seriously. Preventing angry spirits from taking over the criminal underworld in Hong Kong and reviving familiar characters from the original game gave Sleeping Dogs a refreshing, light-hearted take on the game. The expansion provided just the right amount of cheesiness to make you feel like you’re experiencing an old kung-fu movie that happens to have their version of zombies thrown in. I have nothing but positive comments about this particular standalone expansion. It surprised me that Kotaku trashed this, because I thought it was pretty fun. As a matter of fact, Sega ought to take note of how the developers got speedy movement perfected in this expansion. This is basically an origin story that has you playing as Abigail “Fetch” Walker, one of the main characters of inFAMOUS: Second Son. The expansion provides you a detailed glimpse of who she was & how her “Neon” powers came to be before the events of Second Son. The expansion neatly connects the events of her story to the beginning of Second Son. The story is pretty simple and predictable, which actually serves the expansion quite well. However, the story is just platter for the core gameplay, as the expansion really focuses on nailing the gameplay department through expanding & reworking the “Neon” powers seen in Second Son. It’s the closest experience you’ll get to feeling like you’re playing a particular superhero: DC Comics’s Flash . It’s also the only kind of open world gaming experience where most, if not all the mini game activities you can do around the city are fun to do over & over again, even if there isn’t that much activities to do. Even making “neon” graffiti signs in this expansion is more satisfying to do than making graffiti in Second Son. One of the primary reasons that this is the case is that the game is generous in helping you get skill points to level up & acquire advanced abilities (unlike in Second Son). You’re practically rewarded for exploring the city by collecting “lumen” items littered everywhere. It’s SO satisfying using your Flash-like powers to traverse the environment, which means the controls are tightly refined. There’s also a wicked arena mode for you to try out your abilities and experiment with a few different tactics. The developers were nice enough to include the main character of Second Son, Delsin Rowe, as a playable character in this arena mode. They even allow you to choose two flavors of Delsin, be it the “good guy” Delsin that has all the light powers unlocked, or the “bad guy” Delsin where his more violent powers are used instead. Since your character’s abilities are all about speed & continuous traversal, it makes you wonder why Sega can’t do modern Sonic the Hedgehog games right. To this day, this remains one of my all time favorite game expansions. It’s a shame there’s no proper sequel to Blood Dragon. What started off as Ubisoft teasing an image of a fake 80's parody of Far Cry 3 on April Fool’s Day quickly ended up becoming a real deal that got loads of marketing hype. Far Cry 3: Blood Dragon is a standalone expansion title that’s clearly a love letter to the 80s, down to its very 80s sci-fi poppy soundtrack. Of course, the FPS gameplay & new weapons available to your character really shines in this expansion. This is definitely one of those games that doesn’t take itself seriously, instead having a cheesy plot harkening back to the old days of games having really simple stories and taking a backseat to the gameplay. This expansion also has one of most fun introduction openers I’ve ever seen in a videogame. Blood Dragon’s identity shows through its impeccable voice acting, a fun storyline starring macho action heroes presented through beautifully crafted 2D cutscenes… and most importantly, dinosaurs that can shoot lasers. How can an average joe like me NOT be interested in a game like this!? Part of this cutscene plays near the beginning of the introduction. You’ll quickly come to love Spider in this story. This expansion isn’t a simple reskin of Far Cry 3; it’s a completely fresh, entirely different experience that you don’t really see in other First Person Shooters. The visuals, new weapons, environment & even your character’s own robotic arm reflects this notion. It certainly helped to make the Far Cry brand really relevant again in the FPS genre. Just a note: I’ve never played the original Far Cry 3 game. 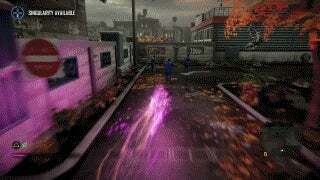 It just looks too boring and uninteresting to me after playing Blood Dragon! Most of Fallout: New Vegas’s expansions are excellent and pretty diverse as far as content goes. The developers did SUCH a great job making each campaign in these 3 expansions distinct. I can’t decide if my favorite expansion in FNV is Old World Blues (OWB) or The Lonesome Road. You also had to somehow recover your stolen brain. In The Lonesome Road, it’s a much more serious, final conclusion of your main character’s story & legacy as The Courier, raising personal stakes much higher than in New Vegas. Lonesome Road also contains one of the most engaging antagonists I’ve ever come across in a video game: Ulysses, the “first” Courier. You have the ability to transform into a wicked vampire lord! Or, if you always wanted to roleplay a Van Helsing-type of character and hunt vampires down, this particular expansion will be quite of interest to you. I loved this expansion because I got the best of both worlds: the ability to be a vampire (and cure myself of being a Werewolf) fighting as a sneaky crossbow Rogue. This is hands down the best DLC in the entire original Mass Effect trilogy for me. It’s a small expansion compared to the other items listed in this post, but it’s well worth investing in. Not content with the game’s endings (even the Extended Cut versions) and want your Shepard to have a bittersweet, final sendoff? ME 3: Citadel is a MUST have that makes up for whatever narrative shortcomings you feel may have existed in the final game. Some perks come along for getting into this expansion: you get a really sweet bachelor/bachelorette pad, along with a self-contained campaign separate from the whole saving-the-galaxy-from-Reapers plot. As well, the expansion adds a new feature to the franchise: a deeply customizable arena “simulation” mode where you can play with some of your old squad buddies from ME 2. There’s one big side quest that’s dedicated to this particular feature. It’s just fun all around honing your combat skills, as the Armex Arena gives you LOTs of ample space to experiment with different squad tactics in a way you couldn’t do in the original trilogy. Seriously, this average joe seems to love having arena modes added into a game! A lovely thing about this DLC is the amount of detail the developers put in to help flesh out all of your squad buddies, including fleshing out additional scenes between you and whomever your Love Interest is. The expansion makes use of some of these new, playable locations to great effect, often being used to tie the campaign’s plot & all the supporting cast together. When the campaign wraps up, you’ll enjoy a long epilogue with a private party, getting a thorough examination of how everyone enjoys each others’ companies, including various chances to mingle with the guests. Some callbacks and running gags seen in the trilogy come full circle in this party. The tone and atmosphere of this DLC is the most light hearted the game has ever gotten, but it works so brilliantly, especially since Bioware provided much needed fanservice after ME3's ending fiasco the company found themselves in. It was received so well, that I think Bioware made the mistake of trying to copy this DLC’s atmosphere/tone to Andromeda’s overall writing (as that game comes off as cringey in comparison). That being said, this expansion certainly deserves its universal praise. It will always remain as one of my favorite pieces of videogaming memory. This expansion ranks up with Shivering Isles in terms of the value you get as far as content goes. It’s unfortunate that future Dragon Age games do not have DLC matching the quality of Awakening (at least, to my knowledge)! It’s practically a new game, continuing after the events of Dragon Age: Origins, where you see your Grey Warden character try to basically rebuild the Grey Wardens organization. Of course, you’ll also get the opportunity to learn more about Darskspawns and discover a new plot that requires you to make some very interesting decisions near the expansion’s endgame. You’ll have a band of new party members to keep yourself engaged with of course, with a couple of new playable environments to wade yourself through. It was well worth the original $40 price tag when it came out, and it’s well worth having now. This is an entirely new, separate campaign that will see you literally traversing hell more often than in Doom 3 to beat some bad demons. Resurrection of Evil is a great piece of expansion that, to my mind, set a high bar for FPS-based DLC content. You couldn’t get any better than Resurrection of Evil at the time it first came out. 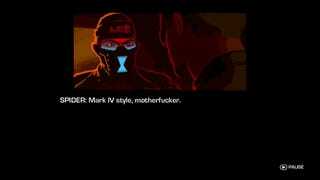 It improved on the original Doom 3 in just the right ways (having a flashlight attached to your pistol, instead of being only able to pull up your flashlight in Doom 3). The expansion included the addition of a wonderfully satisfying super shotgun & the terrifying “Heart of Hell” Artifact weapon that could give you the creeps just holding it. Seriously, The Artifact (Resurrection of Evil’s version of Doom 3's Soul Cube) is one of the most interesting, powerful weapons I’ve ever come across in an FPS game… just by the act of actively holding it does it pulsate, somehow deforming your Marine character’s hands when holding it for too long. It gave you a slo-mo ability + superhuman punching strength whenever you activated it. On higher difficulty missions, you needed this object to help you navigate the environment with the greater amount of enemies thrown at you. You recharged it by harnessing the souls of dead corpses. The expansion’s levels felt a bit more linear than Doom 3, and there wasn’t as much jump scares, but playing it was a lot more fun rather than being a dreadful, eyebrow-sweating experience! I’ve only just recently started on this expansion and can’t evaluate it fully yet, but I like what I’m playing so far! There’s a couple of new interesting characters I’ve already found greatly compelling, including the redhead medic Shani and this mysterious Mirror dude. The expansion does a great job being a seamless extension to the original game, as the breadth of the content feels akin to Shivering Isles. Although, I haven’t seen if I can traverse to a new region yet. I hear the Blood & Wine expansion is even better, so I’ll update this post one day and see if W3's expansions will end up being added to my list of favorites. That wraps up the list of my favorite expansions! It’s unfortunate that sometimes, not many AAA games try to have expansions for certain videogame products. But when they do, it seems to always work out nicely for those developers. I’d love to hear from others on what expansions are worth trying out!